The Administration of Barack Obama may be struggling with strengthening the economy, controlling the damage of Obamacare, remaining an influential player in international politics, and a number of other crucial issues, but it has at least found one area in which the President excels – denigrating the country he leads. Obama’s latest display of the contempt he harbors for the country and history of America, came last week at the National Prayer Breakfast, when the President gratuitously accused Americans of “get[ting] on our high horse” when criticizing those countries or non-state actors (such as ISIS) that commit horrendous acts of violence in the name of religion. Obama used the examples of “slavery and Jim Crow” to justify his point that America is no better than any others – including by implication ISIS – when it comes to committing violent acts in the name of religion. The few remaining liberal apologists for this Administration, such as commentators at MSNBC, tried to rationalize Obama’s remarks by characterizing them as an “accurate” history lesson taken out of context by the “Right.” However, it is exactly the current global context in which the comments were made, amplified by the hubris with which they were delivered, that makes them so damaging to us in the real world. Today, the world is gripped at the throat by a “religious” organization that uses a level of savagery not seen since the Medieval era to attempt to terrorize and intimidate its enemies, including the United States. 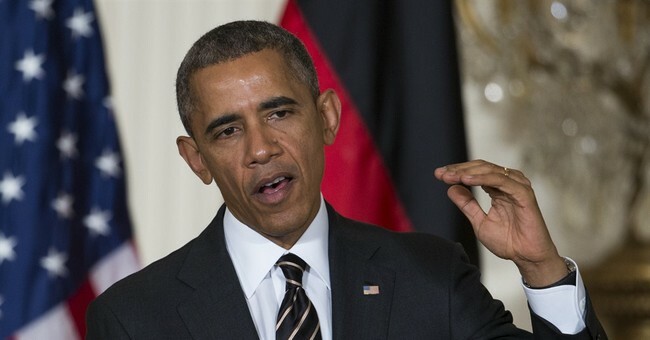 Yet Obama, speaking in his capacity as the President of the United States, found it appropriate and timely to liken such tactics – which include the burning-alive of captives, throwing homosexuals off buildings, stoning women, decapitating hostages on video, and slaughtering minority groups -- to America’s long-ago outlawed Jim Crow laws and slavery. The juxtaposition of Abdullah’s comments and those of Obama illustrate more than just the difference between two leadership styles. In Abdullah, we see a head of state who is confident in his decisions and who takes pride in his nation’s standing. In Obama, we have a leader who approaches foreign policy like he is walking on egg shells and who believes he owes the world an apology for the fact that his country is strong and influential. Obama’s comfort level lies not in practicing the art of adult leadership; but in the role of a glib hipster who revels in taking shots at the country he was groomed to despise during his formative years. Unfortunately for Obama and for the country, this approach does not come across even as humble; as did the incompetence of the Administration of Jimmy Carter. Nor does it seem a refreshing change to the brash, neo-conservative trumpeting of the Bush era. Rather, it resonates as embarrassingly weak, and further reduces America’s standing in the international community to that of a bit player rather than a Superpower ready to lead. The hallmark of the Reagan Administration was its strong sense of pride in America and a genuine understanding that in our country’s founding and subsequent actions, America is exceptional. Like many of his predecessors, going back to George Washington, President Reagan understood the power and the importance of projecting positive leadership and optimism as great motivators. He rarely missed an opportunity to extoll the virtues of the country he genuinely loved, and of its position in the world as a role model for expanding and protecting human freedom. Many of us recall fondly Reagan’s characterization of America as the “shining city on a hill.” Compare that vision to the picture painted by Obama’s lowest-common-denominator view of the world and of our place in it. It may be a pipe dream to expect Obama to capture even a scintilla of Reagan’s awe and respect for the country he was honored to lead; but if Obama is unable to open his mouth and actually stand up for America, it would be far preferable that he simply sit down and shut up.